You’d think the key part of an Awards show is the people who win hardware. And it’s exciting if your a kid watching at home to see a winner announced. You’d brag that you picked the winners or at least seen them. But over the years, the awards don’t matter. Half of them win not so much on their merit, but the hard work of their publicity campaigns. When is the last time you decided to buy something because you wanted the winner from 1975 – no matter what it was? What can stick with you from an awards show is a great performance. That’s the reason you want to remember an award show unless it was your name they shouted after opening the envelope. CMA Awards Live: Greatest Moments: 1968 – 2015 focuses on key performances from over the years by legends of country music. The first ceremony from 1968 is pure legends with Bobby Goldsboro giving us “Honey” to start things smooth. Johnny Cash gives us “Folsom County Blues” as a free man. Jeannie C. Riley reminds of the time her mama stuck it to the “Harper Valley P.T.A.” and Tammy Wynette breaks our hearts with “D-I-V-O-R-C-E.” The big highlight belongs to Glen Campbell who nails the Entertainer of the Year and reminds us of “By The Time I Get to Phoenix.” 1970 kicks off with Tennessee Ernie Ford laying down “Sixteen Tons.” Merle Haggard gets defiant with “Okie from Muskogee.” 1971 reminds us that Jerry Reed is more than a guest on Scooby-Doo with “When You’re Hot, You’re Hot.” Charley Pride lights up with “Kiss an Angel Good Mornin'” on his way to winning the entertainer of the year statue. Earl Scruggs Revue brings a touch of bluegrass to the stage. The dip into the early ’70s wraps with Tanya Tucker’s “Delta Dawn” and Loretta Lynn’s “Love Is the Foundation.” Sadly we do not get the greatest award giving moment ever when during the 1975 CMA’s, Charlie Rich refused to announce John Denver’s name from the stage and merely set the winning envelope on fire. The second DVD starts with the 1985 gathering that brought together the Highwaymen that featured Johnny Cash, Waylon Jennings, Kris Kristofferson and Willie Nelson to sing “The Highwayman.” The 1986 ceremony made us fall hard for The Judds with “Rockin’ with the Rhythm of the Rain.” There was two big team ups during the night starting with legends “Loretta Lynn and Conway Twitty on “Louisiana Woman and Mississippi Man.” Next up was the next state going east as Alabama were joined by Alabama’s own Lionel Richie for “Deep River Woman.” This was during a time when Lionel Richie was contractual obligation to appear at your award show. 21st time gives us Randy Travis as Performer of the Year and he performs “Forever and Ever, Amen.” George Strait steals the night with “All My Ex’s Live In Texas.” 1988 brings back John Denver for “Back Home Again” minus Charlie Rich and his lighter. Patti Loveless gets back to back moments in ’89 and ’90 including a duet with Vince Gill. The third disc gives recent ceremonies for fans of the latest Nashville hitmakers. This includes Taylor Swift before he went pop wtih “Begin Again” in 2012. Florida Georgia Line, Eric Church, Little Big Town, Blake Shelton, Dierks Bentley and Sam Hunt also perform. 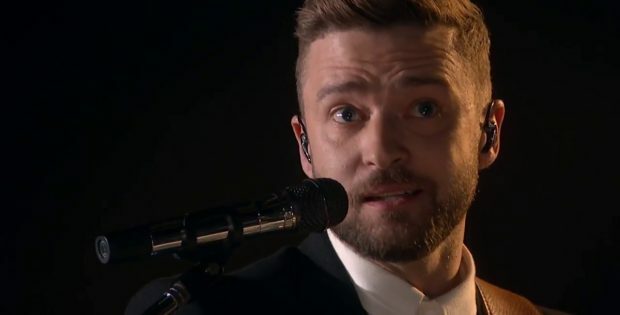 The big surprise is Chris Stapleton teaming up with Justin Timberlake for “Tennessee Whiskey/Drink You Away.” Who knew Timberlake could sing about hard liquor? The mix of ceremonies and performers makes this entertaining for fans of old and new country acts. There’s a big of history and a taste of the awards that were given out during the nights. But the importance is in the performances. Because after the award campaigns have ended, the songs have to hold up on their own. You are the true winner if you want to sing them when they come on the radio in your truck. The video is 1.33:1 full frame on disc 1 & 2. Disc 3 is 1.78:1 anamophoric. Quality varies as earlier ceremonies aren’t as smooth as the more recent. The audio also varies from Dolby Digital mono to stereo to 5.1 surround sound. Interviews with Charley Pride, Blake Shelton and George Strait talk about their time at the CMA ceremonies. Time Life presents CMA Awards Live: Greatest Moments: 1968 – 2015. Starring: Johnny Cash, Willie Nelson, Tanya Tucker, Tammy Wynette, Merle Haggard, Taylor Swift and Justin Timberlake. Boxset contents: 3 DVDs. Released: January 4, 2019.